Can’t find the dental office you’re looking for in Santa Paula? 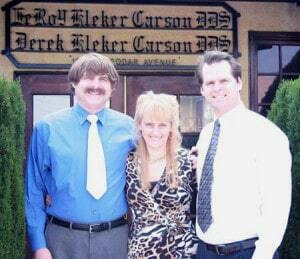 Carson & Carson, DDS offices located in Oxnard & Camarillo are just a short drive from beautiful Santa Paula. Our experienced dentists go the extra mile to make your smile look and feel great. 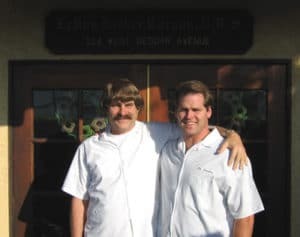 Our Santa Paula dental experts Dr. Leroy Carson & Dr. Derek Carson have over 60 years of combined experience in dental care. At Carson & Carson, DDS our priority is to provide you with excellent dental service to make your visit to the dentist a pleasant experience that will brighten your smile. We treat patients of all ages ranging from pediatric to adult with the latest in dental technology to produce a cost-effective and painless treatment plan for your dental needs. Since 1970, our dental practice has provided the residents of Santa Paula and all of Ventura County with excellent care and education for oral hygiene. Our offices are equipped with state of the art CT and digital radiography equipment, allowing us to provide you with incredibly precise and accurate care for your teeth. Feel confident in your teeth with care from the best dentists in all of Santa Paula and Ventura County – Carson & Carson, DDS. For questions, appointments, or to discuss treatment plans for your dental needs, call us today at 1-805-983-0717. Check out reviews from our past patients.